Are you sleeping on a dirty pillow? Do you have a pillow to wash, but have been putting it off because you’re not sure how to do so successfully? Well, you don’t need to look any further because we have your back. We care about the way you sleep, and we want you to do so comfortably. Let’s face it, sleeping on a dirty pillow is never great. Below, you can read all about how you can wash your pillow yourself. When you wash your pillow, you’ll need a variety of things that depends entirely on what kind of material you’re washing. 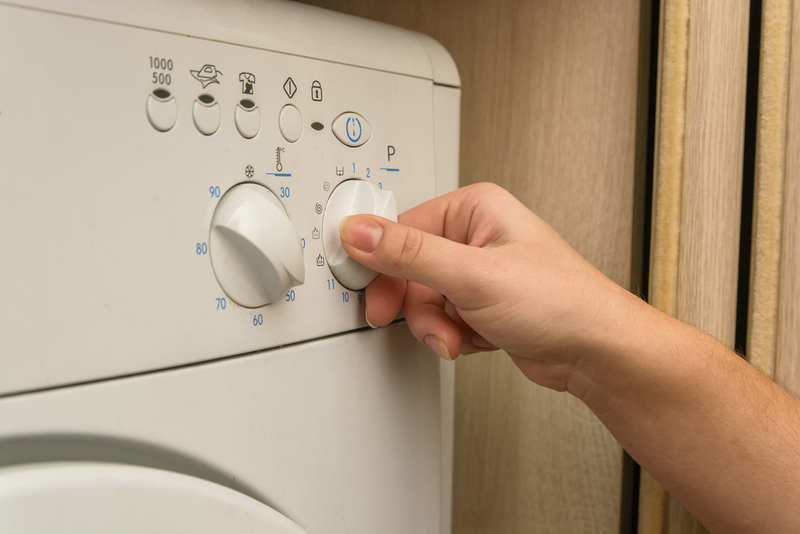 If you’re washing a regular pillow that is made of either down, cotton, or synthetic materials, then simply buy some laundry detergent and make sure you have a washing machine that can run hot water. If you’re washing a memory foam pillow, however, you’ll want to make sure that you have a bathtub at hand instead of a washing machine. If you’re washing an especially dirty pillow, then you’ll also need some bleach or borax. Now that you have your supplies together, you can begin to clean your pillow. 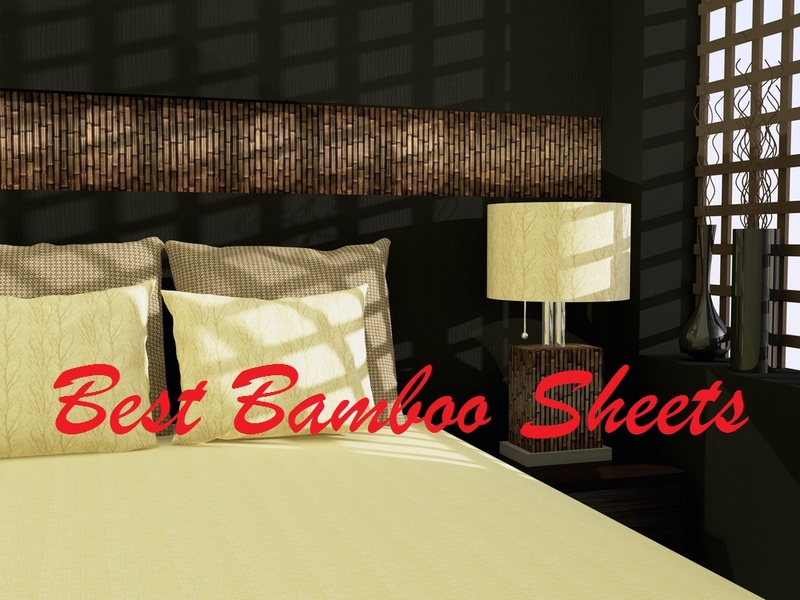 Most people sleep with a pillow case or a sham. If you’re one of these people, then make sure you remove it so that it doesn’t interfere with your pillow being cleaned. 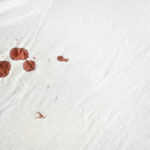 If you find that there is another zip-on pillowcase underneath, then remove this once as well. 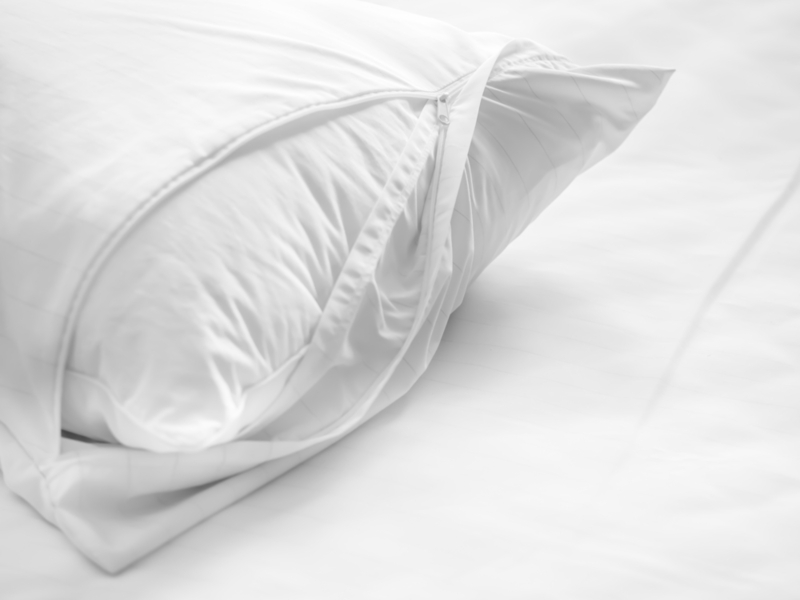 You might avoid putting your pillow cases in the washing for the fear of damaging them. But you don’t have to worry because even your down pillows can be thrown in here. You just have to be careful that about balancing your mashing machine. Make sure you place two pillows at once, on either side of the washing machine, so that it doesn’t fall off track when your pillows are being cleaned. Now that your pillow is in the machine, you can throw in some of your favorite detergent. 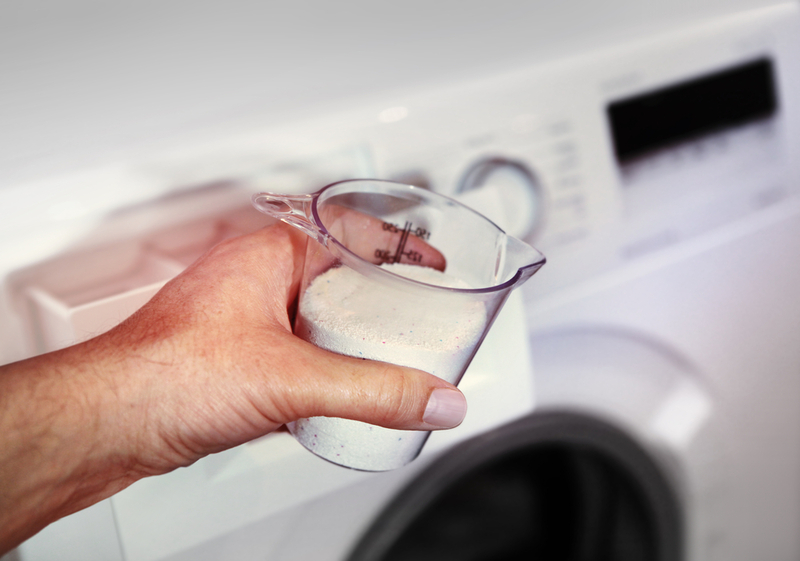 Use half a scoop if you’re using powdered detergent, or you should fill the cover of your detergent up to the line if you’re using a liquid detergent. If you need to make your pillows even cleaner and whiter, then you should include bleach and borax, or a mixture of both. You can safely include one cup of bleach and half a cup of borax to whiten it. So far, you’ve prepared the detergent and you’ve thrown your pillows in the machine. Next, you have to begin the washing machine so that your pillows can be cleaned. Be sure to put them on the wash cycle and use the option for hot water. Before you start your dryer, fill two white socks with tennis balls, knot the end of the socks, and throw them in the dryer with your pillows. This will give the pillows more fluff, and it will decrease the drying time. When your pillows are properly washed, you can throw them in the dryer. Either dry them on low heat or on the air setting. 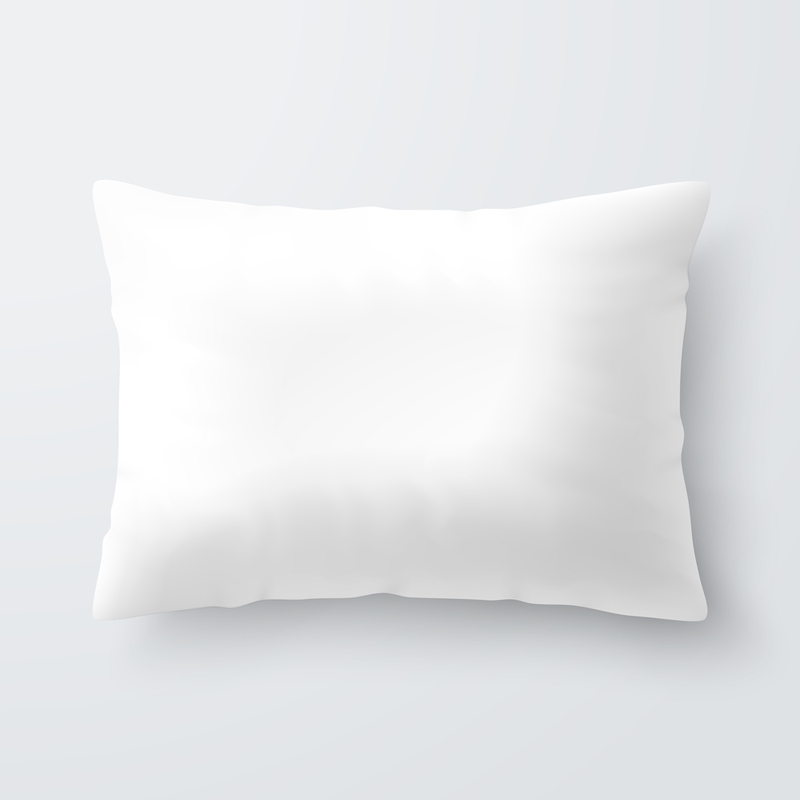 If you own down pillows or feather-stuffed pillows, then you should dry them on the air setting. When they come out of the dryer, make sure you check them to make sure they aren’t damp. If you smell them and they have a lasting odor, then that means moisture has collected at the center of your pillow and you should dry them again. If you have memory foam pillows instead of down, synthetic, or cotton pillows, then you’ll need another method to clean your pillows. Just like with the previous method, you’ll have to remove your pillow cases when you clean your pillows. If you don’t your pillow will likely less clean and it’ll retain moisture. You should also remove the zip-on cover that comes with the memory foam pillow. Memory foam is a very gentle material, which is why you’ll need to wash your pillow in the bathtub instead of the washing machine. The machine is far too rough and you’re likely to damage your pillow if you wash it like a normal pillow. Now, fill the bath tub with warm water. You should only fill it up enough to cover your pillows, though. If you fill it up too much, it’ll be harder to dry them and your pillows are more likely to retain water. Now, you need to include laundry detergent with your load. 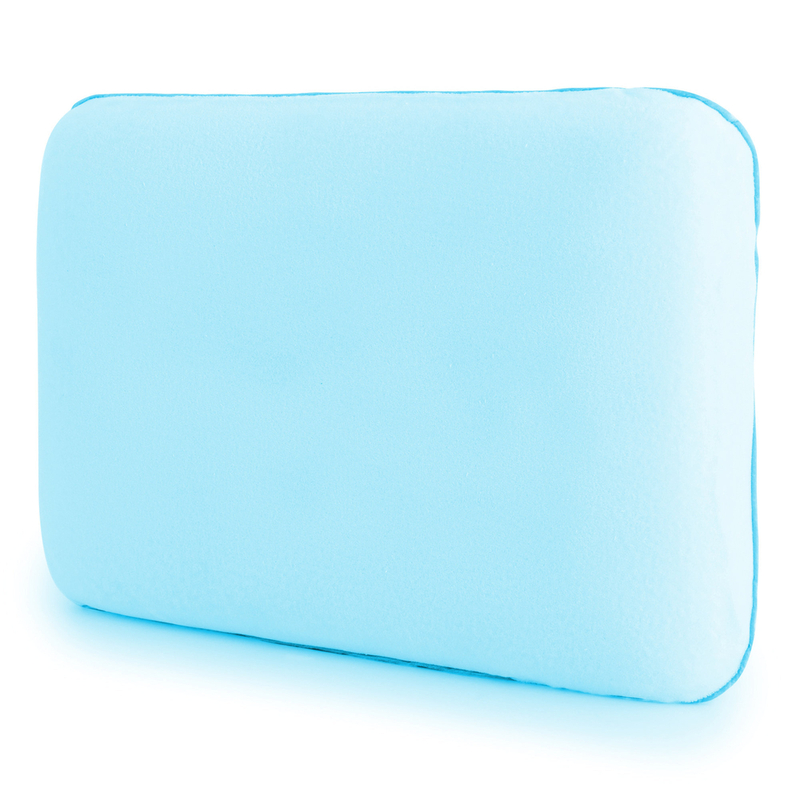 For every pillow that you wash, you need to throw in a tablespoon of laundry detergent. You’ll need to wash your pillow by hand now. To do this, you’ll have to massage your pillow and move it around your bath tub. As you do so, your pillow will release some of the grime that’s being held in it. You’ll also be allowing the laundry detergent to soak into the pillow. Since you’ve washed your pillow, you’ll have to rinse it. Run some water over your pillow and massage it so that you get all of the soap and suds out. There are two ways for you to dry your pillow. First, you can hang it on a clothesline on a dry day. Second, you can lay it on a dry area. Make sure that if you go with the second method, you lay it on a white and clean towel. It’s important for you to sleep on a clean pillow. 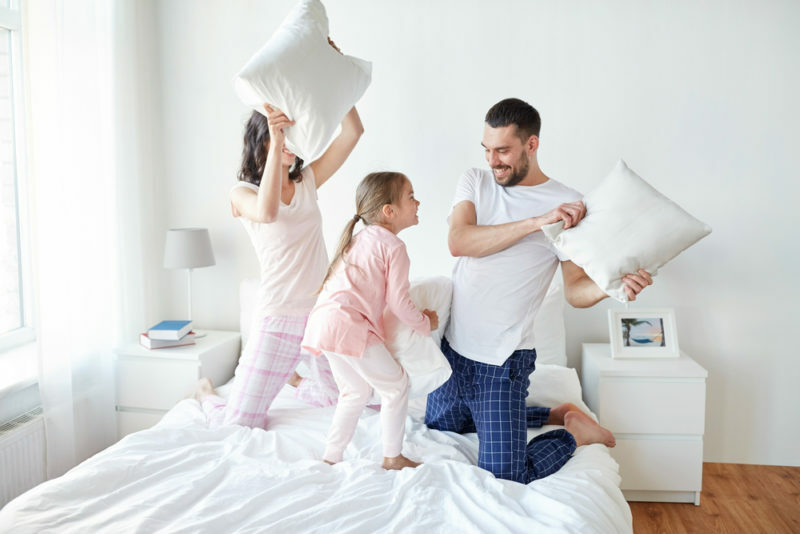 That’s why we made the above guide, which will lead you through the various steps of cleaning your pillow whether it’s made of down, synthetic material, cotton, or memory foam.